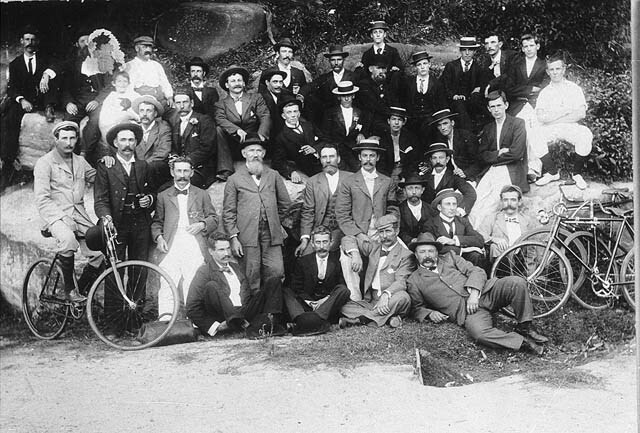 The Cootamundra Cycle Club was founded in 1895 and is probably the oldest continual club in NSW, although as was the case with most clubs it went into recess during the war years. The club continues to attract good membership numbers. Many are mostly summer participants, however each year there are many who contest both the open and interclub events during the winter months. Some of the great names that have donned the famous colours of our club over the years include the Crowe’s, Barrett’s, Manning’s and many others too numerous to single out. The Crowe’s are synonymous with cycling in Cootamundra having had three generations competing in both track and road cycling. Our Club is well represented with 4 members aligned with Cycling NSW as Commissaires and they officiate at events in the area as required. We also have a number of experienced people that unselfishly commit to each race with all sorts of duties and their support is invaluable.